Should I choose a residential or outpatient program? What is the right length of stay for an individual in treatment? How will you know when they are ready to discharge? Is coming home post treatment the right answer? These are all questions that families ask as they are trying to help an addict you care about. While there is no “cookie-cutter” solution for addiction recovery, there are some commonly accepted practices that tend to produce the best results when trying to help an addict. I believe that selecting the right treatment placement is essential when trying to help an addict. In order for an addict to desire long term sobriety, they must become willing to honestly reveal their inner struggles and doubts and really trust the team who counsels and guides them. Further, the addict must become accountable to a support system that understands addiction recovery. Primary treatment in an outpatient setting can only be considered for highly motivated individuals. However, because of the self delusion present in addictions, most addicts do not develop this rigorous honesty and motivation. As a result, outpatient programs have among the lowest success rates in the industry because they are often used as a primary treatment experience. By definition, they cannot offer the structure or accountability that most of us in early recovery desperately need. Often, the motivation for recovery comes from an external source such as a loved one, an employer, or the legal system. Until an internal source of motivation can be found, it is vital that the addict be surrounded by a system that understands the thinking and fragile emotional state of someone in early recovery. A residential treatment team will monitor the addict and provide encouragement and support to keep them from falling into old thought or behavioral patterns while simultaneously helping them become more emotionally honest. In residential treatment, addicts have the freedom to make minor mistakes, and to learn from them, so that when confronted with the major difficulties of real life, they are more prepared and are less likely to relapse. It is almost always advisable that a residential setting be provided to ensure maximum success for the individual trying to recover. When trying to help an addict, it is equally important that the addict’s family and friends have an opportunity to begin healing while the addict is receiving treatment. Addiction’s destructive nature often causes obvious harm to families and friends, including financial difficulties, emotional traumas, and even physical injuries. There are also wounds that may be less obvious. Often, an addict’s family unwittingly creates a pattern of enabling the addict. Under the guise of “helping” or “saving” the addict, family and friends contribute to the addiction cycle. The enabling behaviors of the support system need to be addressed with the same level of importance as the primary addiction. If the addict is to stay sober, the support system will have to become healthy as well, and receive continuing education and guidance to understand which future behaviors enable and which behaviors truly help. Sometimes, one or more of the family members must seek treatment for their own codependency. Many excellent outpatient and residential options are available for intensive codependency treatment if necessary. While working with families for the last decade, I have come across many who repeatedly admitted their loved ones into short term treatment programs to no avail. Young adults seem to be the most prone to repeat stays. The young adult is immature emotionally. They often lack life skills and work ethic because their addiction has robbed them of the opportunity to develop in these areas. To think that they can be successful at gaining the experience needed to use the tools that long term sobriety will require in 30, 60 or even 90 days is usually unrealistic. Thankfully, it has become more commonplace in recent years for families to employ professional interventionists or consultants who can help them put together a strategy for recovery to help an addict as well as themselves. Professionals can not only help an addict into the correct program the first time, but also plan for the coming six months to several years so that the support system and the recovering addict have the resources and the ongoing help that they need. Families must stop looking at recovery as a quick process that will help an addict in only a month or two. Addiction is a chronic disease that requires ongoing care at many different levels. 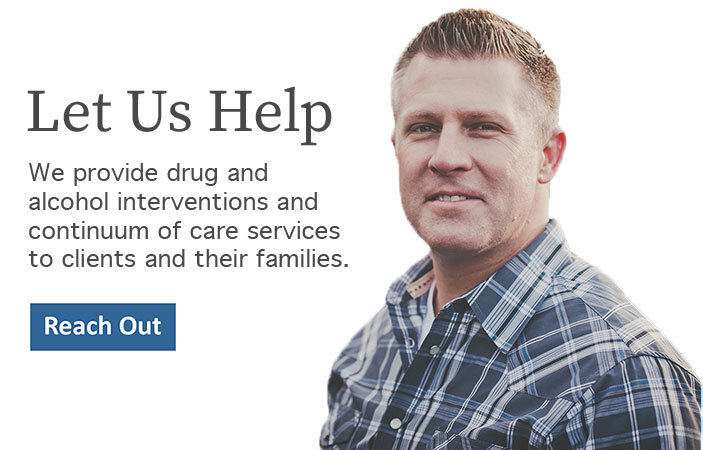 If someone you love is struggling to remain sober, contact us and talk to us about how we can help you help an addict you care about and create a plan that can help your family recover.